To check what other plans we have available, go to Subscription settings from your home screen dashboard menu. 2. Click on See all plans. 3. Check and order other available plans. 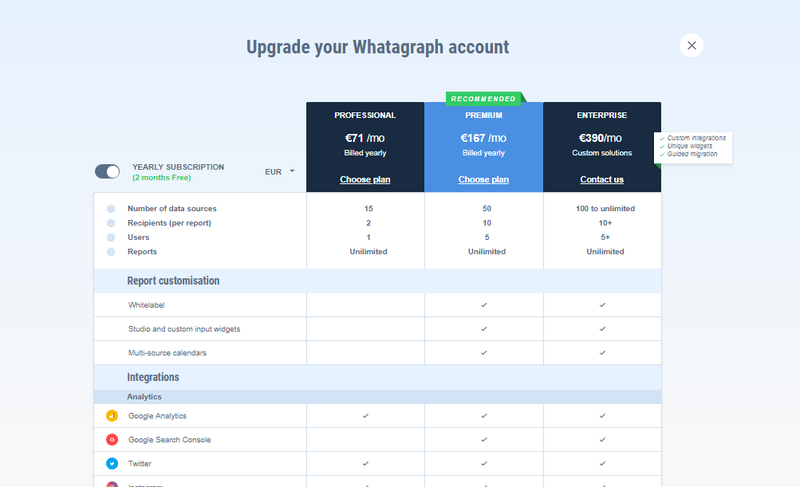 If you cannot find the plan you need, do not hesitate to contact our support team via chat or e-mail hi@whatagraph.com.